Welcome on the guestbook page of the Missing soldiers in the Netherlands 1940-1945, feel free to post any questions, or remarks regarding any missing soldiers. I have placed a message to you in your 'contact' folder. My father-in-law is John Names McNee, 4th Lincolns. Killed in action at Groenewoud, nr Driel on 6 March 1945 with his comrade J I Hyde. 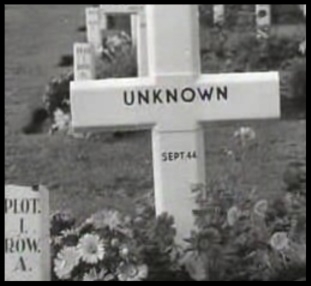 You refer to them as being possibly identified a burial in 1948 in Oosterbeek Cemetery after being "found at the farm". Any information about this would be appreciated. I can supply my email. Also, did you report it to the MoD in2007? Today I went to visit the above cemetery, and photographed the following grave, however I cannot trace this grave in the CWGC records, the grave on Plot 69, Row C, Collective Grave 14, I can find in your records and that holds an early date of 1 and 16 June 1943, see attached, would there be a mix up that there are two graves with the same date and the other might be an empty grave? First and foremost, I would like to apologize for this late reply, but it has taken a long time to investigate this matter. After an on-the-spot inspection and further research in our archive, we were able to establish that in 1973 the gravestone for 'Sgt C Green' and 'An Airman of the 1939-1945 War' was erected in the wrong place. This tombstone had to replace those of the 2 unknown Sgts, which are to the right of the headstone for Flt / Lt Eldrdige and F / O Wahl. This will now be corrected and we will have this done by our people. I do not know exactly when this will happen but this will be scheduled during a next working visit to the Netherlands.